In their heyday, Budapest's cafés were hangouts for the local intelligentsia, writers, and artists. 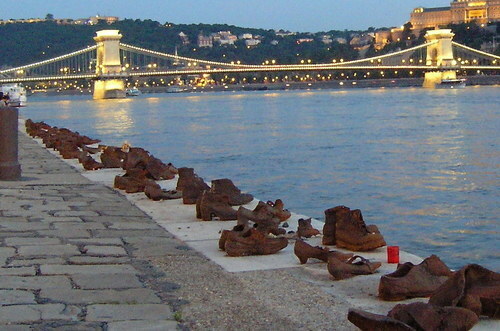 But, after two world wars and the communist era in Hungary, they were destroyed or closed. 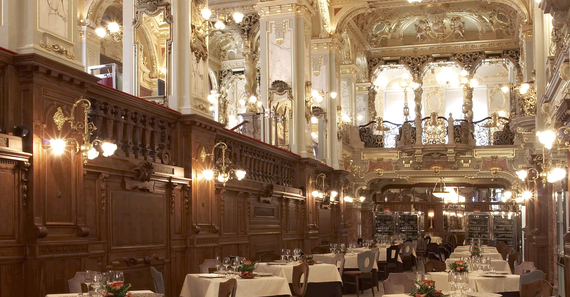 Now, many of these famous cafés have been restored to their original splendor. Relax for hours over a great cup of coffee and enjoy some delicious pastries too at: Café Gerbeaud, BookCafé Párizsi Áruház, New York Café, Café Centrál, Művész Kávéház, and Café Gerlóczy. The BKK (http://bit.ly/1WsXvS4), Budapest's public transportation system, is incredible. You can get any place--from the Parliament to Heroes' Square--on its extensive network that includes: Földalatti (subways), Villamos (yellow streetcar trams), Trollibusz (red trolleybuses), Autobus (blue buses), and Vizibusz (ferry boats). Be sure to buy a ticket or pass beforehand; there are ticket controllers everywhere! Or, get a Budapest Card (www.budapest-card.com/en) for 2 or 3 days of unlimited public transportation and other discounts. Budapest has 23 districts (like Paris' arrondissements) that are referred to by name and Roman numerals. The inner city Districts are: I-IX. Flourishing Jewish life was almost snuffed out during the Holocaust with help from Arrow Cross, the Hungarian Nazi party. But amazingly, while now menaced by Hungary's right-wing Jobbik party, Jews still live in Budapest. The old Jewish neighborhood (Erzsébetváros, District VII) has become a hip spot to hang out. 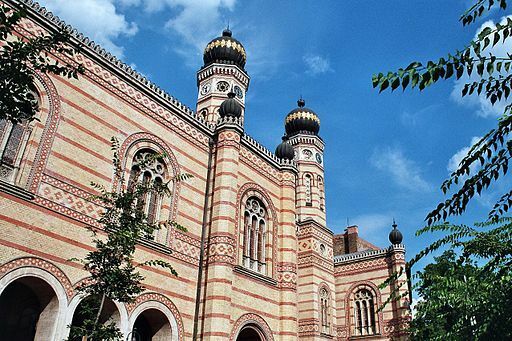 By day: visit the beautiful Dohány Street Synagogue, the largest in Europe; have a bite in a kosher restaurant, and view poignant memorials. By night: go on a "ruin" pub crawl; several hot joints thrive in old, abandoned buildings. Begin at Szimpla Kert, the place that launched the trend. It doesn't matter if you're an opera fan or not, it's worth going to the Hungarian State Opera (Magyar Állami Operaház) for the experience. The building is beautiful, the opera stagings are often avant garde, and the prices are low. (Cheap tickets from $2 to $20). Get there early to admire the statues of famous composers, gold gilt, frescos, and painted ceilings. If you get bored, leave at intermission and head to Cafe Művész across the street or wander up and down lovely Andrássy Avenue. There are two other things you absolutely must do: a) Go to one of Budapest's famous baths such as Széchenyi and soak in the thermal waters (around $20, for the whole day; bring a bathing suit). b) Ride around in a Trabant, an old communist car; once a joke, now super cool. 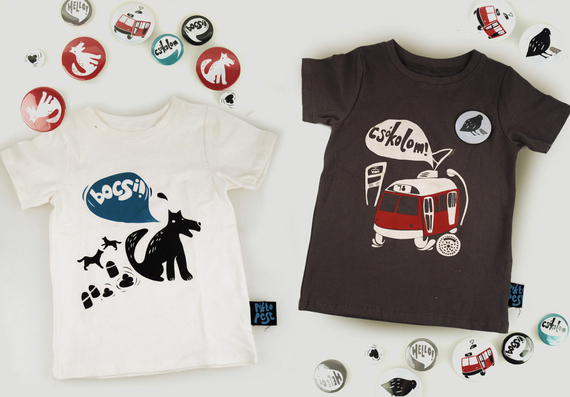 Drive (or be driven) on a ruin-gastro pub-design shop tour or take a trip to Memento Park. Definitely splurge on this unique experience. Where To Stay: Gerlóczy has 19 reasonably-priced rooms above the café, in the heart of town. Getting There: The best time to visit Budapest is between March and October. Both Delta and American offer connecting flights; at this time, there are no non-stop flights from the US.